When you order this item you will receive the regular gaming version. 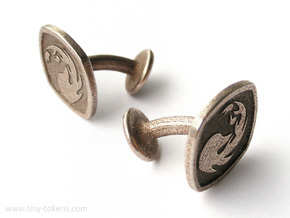 The item pictured has spindown numbering. 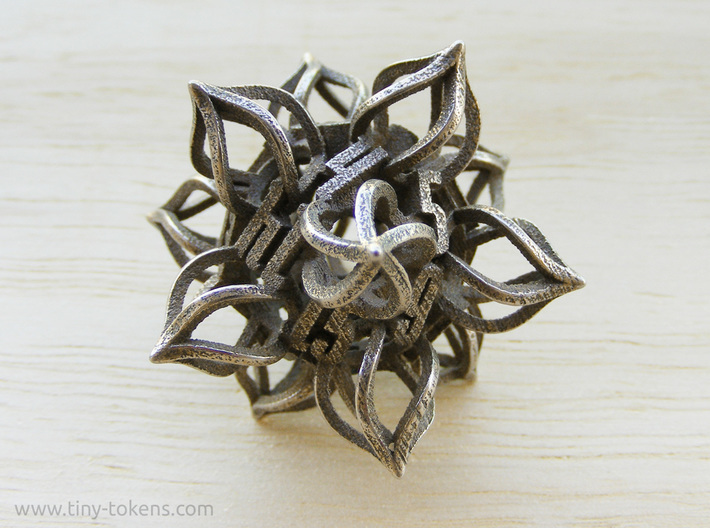 This is the regular gaming version of the twenty sided (D20) 'Kaladesh' die. 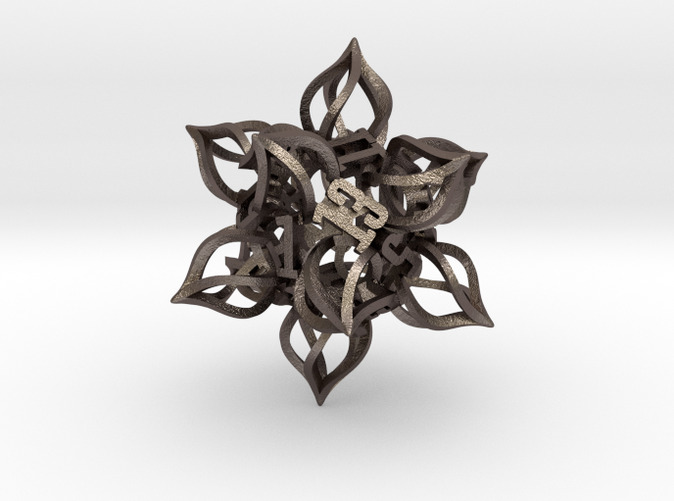 This medium sized version is intended for printing in metal. There is also a larger version available for printing in plastic. 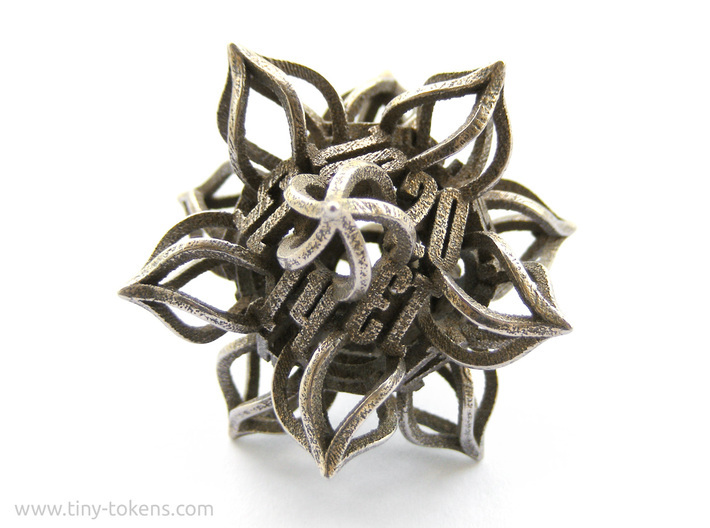 The metal version of this d20 measures 41 mm (1.6 inch) from point to point, and 33 mm (1.3 inch) across opposing sides. In steel it weighs about 17.5 grams. The die is designed to be well balanced and to give a fair roll. 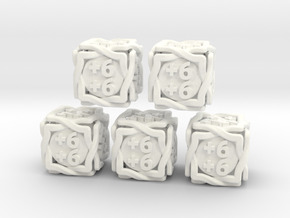 This version of this design has the numbers in a regular gaming dice pattern, in which the numbers on each set of two opposing sides sum to the number of sides + 1. This type of d20 is typically used in role playing games such as Dungeons & Dragons and Pathfinder. If you are looking for a version with the numbers arranged in a spindown patters, please have a look here. The design of this die is meant to fit with the visual style of the latest expansion set for Magic: the Gathering, called Kaladesh. See here for all my Kaladesh themed dice.